The title of this post isn’t meant to sound harsh as it likely sounds, hear me out. Because, hey, it shows how great your business is and why people should buy from you. Unfortunately, when a business focuses only on the “we” aspect of their business, (and pretty much every business does including your competitors) the prospect is left to decide what their real problem is and how to solve it. Here’s the cold, hard truth – nobody cares about you or what you sell (and nobody will ever care as much about what you’re selling as you do). While your business may be incredible, all your customers and prospects care about is what they want and need and they’ll go with the business that promised them that. The company that can articulate the problem best – wins! It may not even be the company with the best product or service, but this is marketing and marketing is often initially about perception. So the question is, how do you show your customers that you are the one without pointing out all of the amazing things about your business? You must spell out their problems. Once you do that, you can begin to connect your solution to their problems. Before you dive into the research to discover what those problems are, it is imperative that you have a firm understanding of who your ideal client is. This is the person you are trying to reach. Without truly understanding their wants and needs, you won’t be successful in marketing to them. Make this a priority above all else as it will impact all aspects of your business. Your job as a business owner and marketer is to understand the problems people are trying to solve and match your solutions to those specific problems. That’s it. If you can do that, you’ve won the golden ticket. Instead, they may end up thinking “why do I keep losing projects to XYZ Consulting and why isn’t my revenue growing?” If you’re a business owner, these types of questions likely creep up all the time. We are so in tune with the idea of promoting what we do and talking about our solutions, but you need to remember your prospects are not. A prospect just wants to know that you understand their problems that they’re trying to solve. It’s important to try to solve your customer’s problem early in their journey. Businesses that build their content, web design and SEO practices around problem-solving will reach their ideal client’s buying journey at a much earlier point to do the kind of trust building that makes your solution the obvious choice. Matching your message to your ideal client is everything when it comes to marketing these days. You’ve got about five seconds to get and keep someone’s attention and you can’t waste that precious time with a message that doesn’t connect. Make a list of the problems you solve for the clients you help the most (you can often pick up on this in conversations you have with them). When I work with businesses, I actually ask them to make a list all of their problems and challenges for me. This helps to give me an understanding of their needs from the very beginning without any ambiguity or guessing involved. Take that information and change your messaging so that it’s no longer about you, and instead make it all about them. Your customers don’t know how to solve their problems, but they usually know what their problems are. If you can show that what you sell is the answer to their problems they won’t care what you call your solutions, they’ll just buy it to make their pain points go away. Break down every solution you sell, every benefit you attribute to what you do, and map it back to a handful of what I like to call “trigger phrases.” Creating a list of trigger statements should be very high on your priority list. Using keyword research can also be extremely useful in the quest for finding what your customers are looking for as well. Keyword research has become one of the master skills now for marketers because you have to get good at understanding intent because that’s where all the data is. You just need to know where to find it. The phrases you generate can be questions or statements or even anecdotes, but they must come from the point of view of the customer. Create a cheat sheet of trigger phrases that signal that the person saying them needs your service. At the end of the day, you’ve got to be successful at uncovering ways to solve your customer’s problems that no one else is even talking about solving. Do that, and you’ll be sure to make an impact. 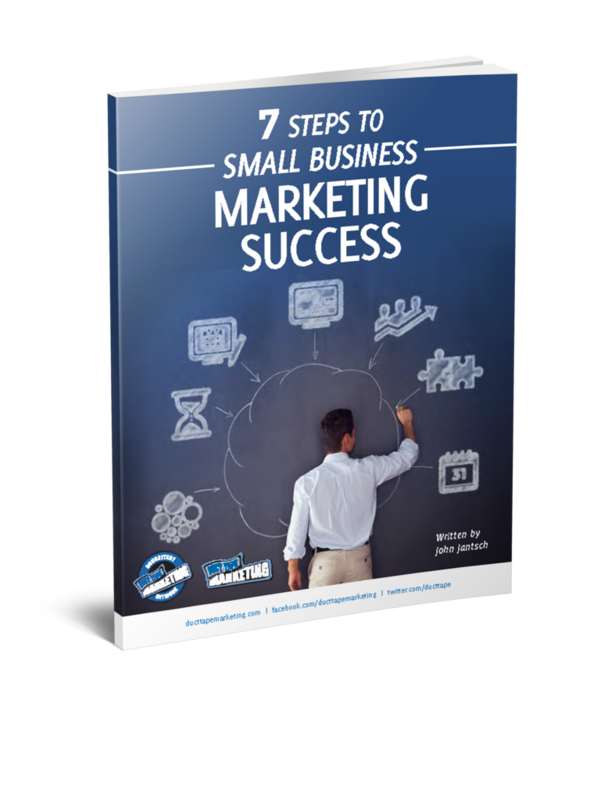 If you enjoyed this post check out our Ultimate Marketing Strategy Plan for Small Business.